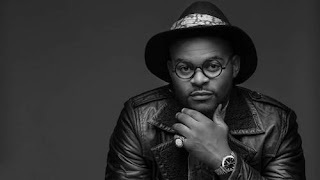 Folarin Falana aka FalztheBahdGuy, Nigerian comic-rapper/actor, won the Black Entertainment Television (BET) Award on Saturday June 25th 2016. He was announced as the winner of the Viewers’ Choice in the “Best International Act” category. Falz was nominated alongside; Section Boyz (South London), WSTRN (West London), Emtee (South Africa), Tkay (Australia) and MHD (France) for the Viewers’ Choice Best New International Act. The main event will hold at the Microsoft Theater in Los Angeles, United States of America on Sunday, June 26. The 26 years old Lagos-born rapper has albums including Bants, Season 1, Karishika Part 2, Stories That Touch, and Shakara: The Mixtape. Folarin is the son of a highly respected human rights lawyer and activist Femi Falana. Meanwhile, Nigeria Wizkid and Yemi Alade are set to win the Best International Act, African category at the event today.